That’s the best name I can think of for this quick, taco-like dish. This one won’t be winning any pretty awards but it’s delicious! Think of a taco minus the shell. Want the recipe, well here you go…. Note: Cut the recipe in half if necessary because remember, I’m feeding five. Below are optional. You can also add avocado or maybe tomatoes as well depending on what you like. 1. Add beef and taco seasoning to a large pot and brown on medium/high heat. Meanwhile, rinse/drain the black beans and corn and set aside. 2. Once the beef is browned, add the corn and black beans to the pot and cook for 10 minutes on medium heat, stirring occasionally. And you’re done! Easy right? 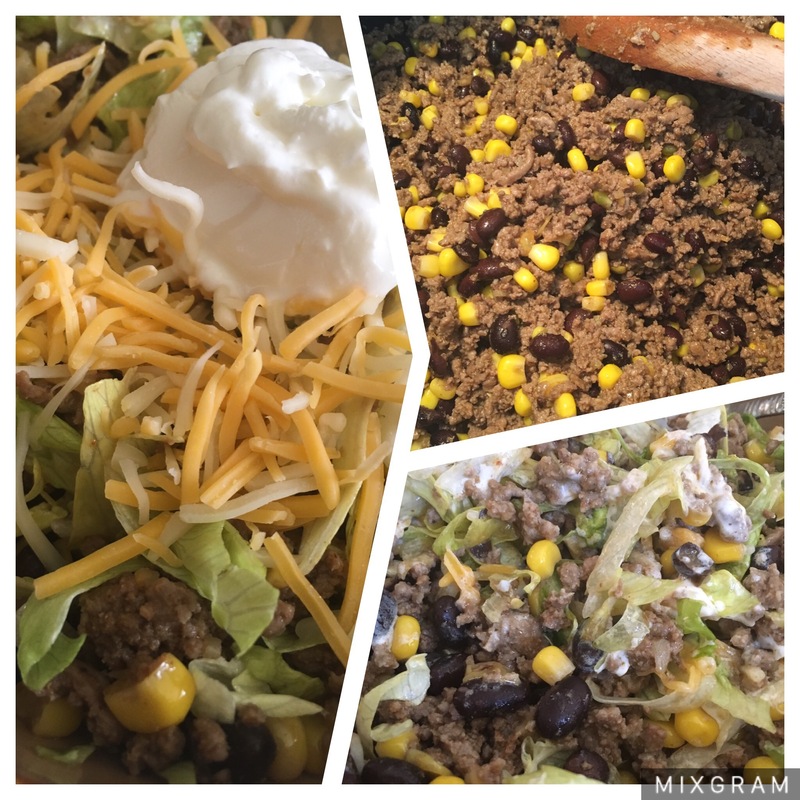 Now just serve yourself some of the meat mixture and add in your cheese, shredded lettuce, sour cream and whatever else you like. Very interesting dinner idea for tonight, thanks for this recipe it was very tasty and easy to make.